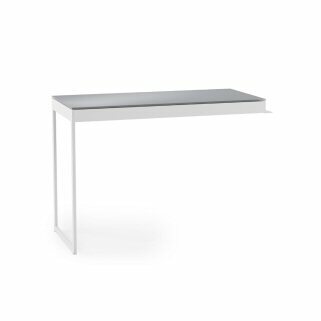 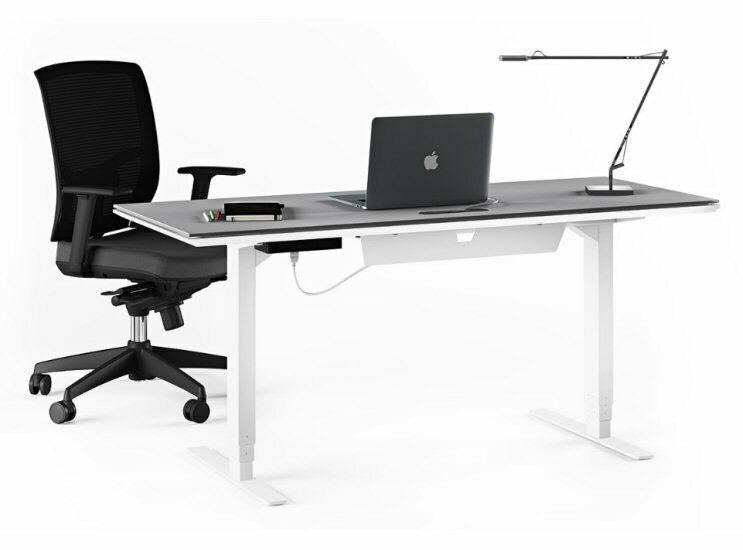 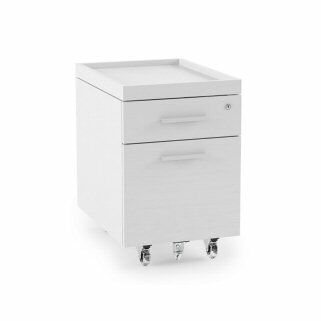 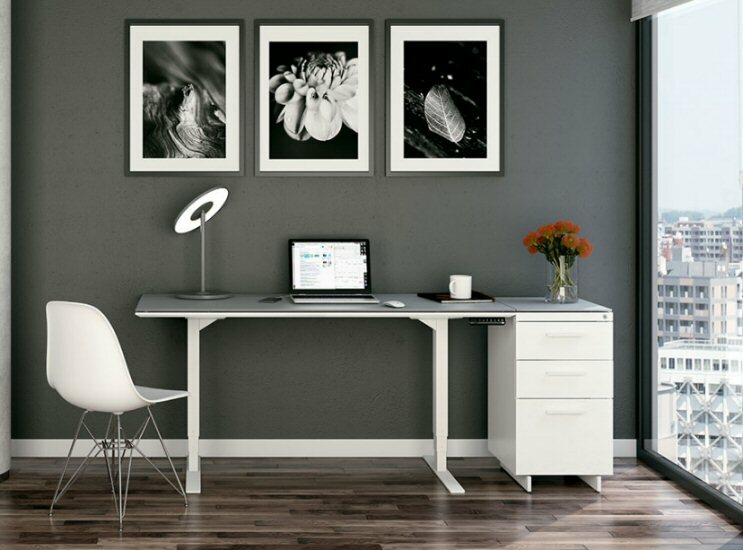 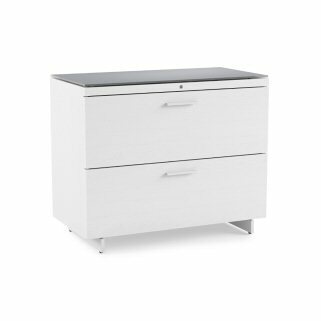 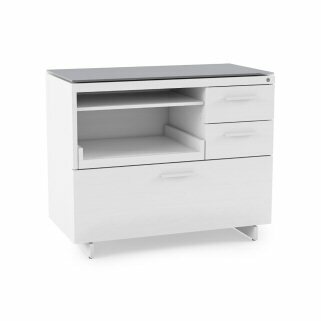 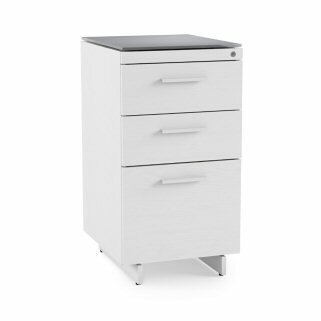 BDI Centro 6451 Lift Desk offers the best of both worlds. 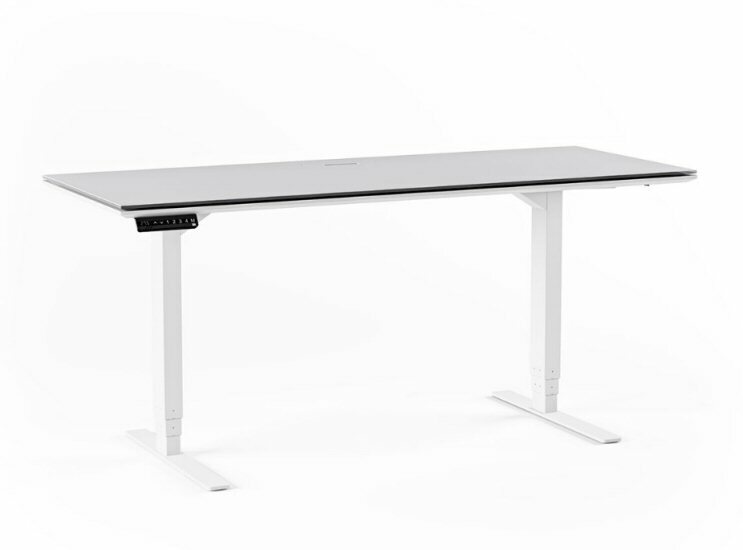 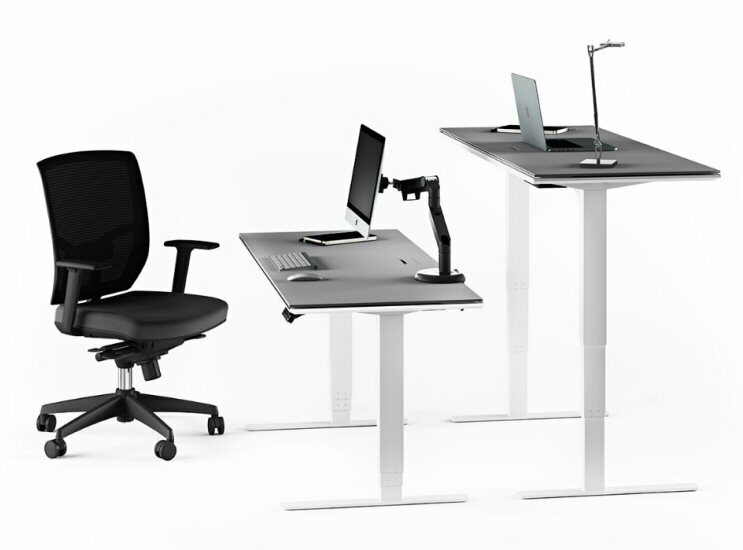 The desk’s adjustable height allows you to keep yourself in motion with periods of sitting and standing throughout the workday. 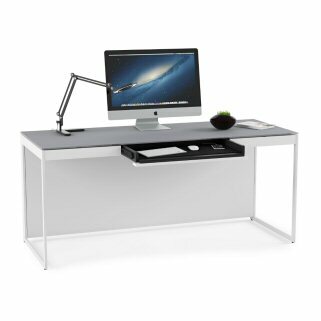 Combining beautiful styling, thoughtful engineering and ergonomic design, the Centro desk provides the versatility and movement that every workday requires. 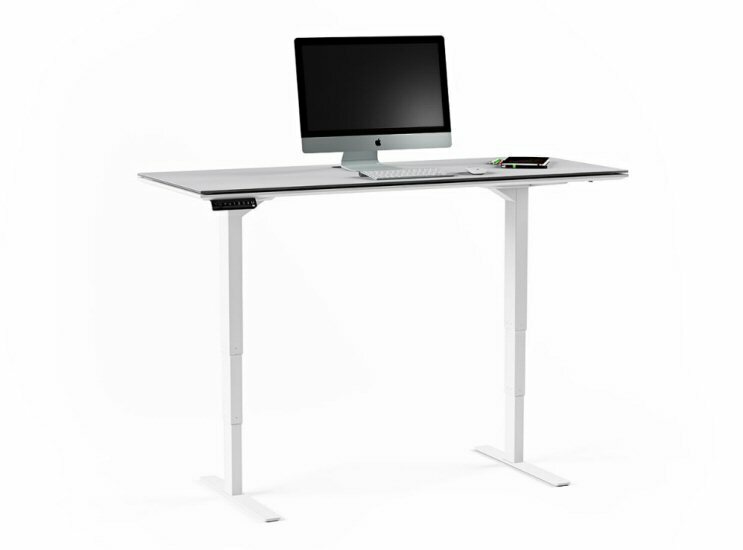 The Centro Lift Desk provide a versitile workspace at the touch of a button for maximum comfort and work efficiency. 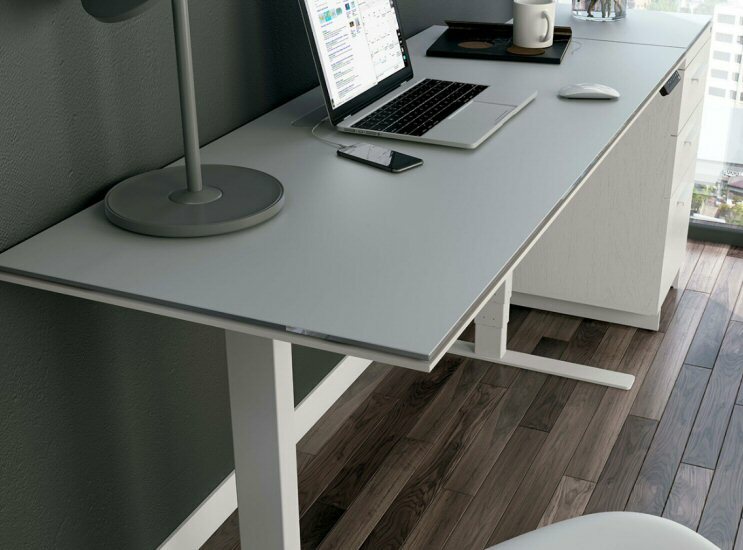 The grey micro-etched glass worktop and satin white accents offer a distinctly modern look that will elevate your workday.